Note: This post contains affiliate links. 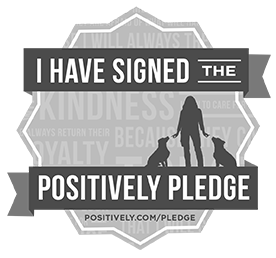 If you click on an affiliate link, which will be noted as an affiliate link, and buy something, I may earn a small commission to help support this blog. The opinions and ideas in this post are my own and are not influenced by any other person or business and I received no additional benefits for mentioning the products in this post. Christmas is just 14 days away, and while Delia and I are busy getting ready to celebrate, we want to share a few of our favorite gift ideas with you. Whether you’re shopping for pets or pet lovers, when you purchase most of the gifts below, you are also giving back to animals in need. Have you met Mona Pants? Mona Pants is a Boston Terrier who lives in Raleigh, NC. Her hilarious videos about her daily life have gained her a large following, which has resulted in Mona starting her own foundation to help rescued animals, the Mona Pants Foundation. Mona’s Mama’s shop, Cat Banjo has a section dedicated just to Mona. The Mona Shop at Cat Banjo features lost of fun gifts and a portion of each purchase goes to the Mona Pants Foundation! …and her Mona Deet Deet tee. If you’ve always wanted a horse, cow, or pig, but don’t have the farm to house them, sponsor a Barn Buddy. Your sponsorship of a Barn Buddy at Longmeadow Rescue Ranch in Union, Mo. will help feed, board and provide medical care for the animal of your choice. Longmeadow Rescue Ranch is a safe-haven for horses, cows, chickens, goats and many other farm animals in need. I sponsored a pig named Walter for my Mom for Mother’s Day this year, and the sponsorship is a gift she truly cherished. She’s wanted a pig for years. Now she has Walter! Dazzling Paws Jewelry creates a vast line of dog-themed jewelry that is 100% handmade in the USA. They have many wonderful options for dog lovers, including memorial items, breed-specific jewelry, paw print jewelry, agility-themed jewelry, dog sport themed jewelry, birthstones….so many options. A percentage of purchases from their Charity Jewelry pieces is donated to charitable organizations. Norbert. Oh, my goodness, Norbert. If you’re not already following him on Facebook, you MUST! Norbert is an adorable 3 lb registered therapy dog who brings smiles and happiness to people all over the world. He delights his fans daily on his Facebook page and has won numerous national and international awards for his first picture book, Norbert: What Can Little Me Do? Inspired by his life, Norbert: What Can Little Me Do? tells a tale of how you don’t have to be big to make a big difference in the world. Norbert with his first picture book Norbert: What Can Little Me Do? For pet lovers who love photographing their pets and sharing their images, PicMonkey is a fun and easy tool to help create masterpieces with your photos. 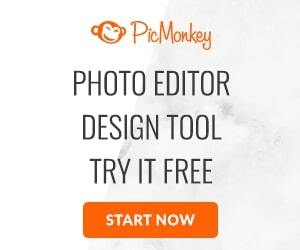 I use PicMonkey regularly and it has become my go-to editor of choice for blog photos. (Like the banner at the top of this post.) I’ve even used it along with Photoshop for adding a little extra “fun” to a few of my formal photography session photos and my clients loved them! PicMonkey is FREE for a basic account, but if you want more options, a PicMonkey Royale subscription is available for $4.99 a month or $33 a year. For a limited time, anyone who signs up for a Royale subscription gets a FREE 30 day trial. We’re also pinning some of our favorite gift ideas on Pinterest! Follow Heartprints Pets’s board 2014 Holiday Gift Guide for Pets and their People on Pinterest.Happy holidays to you and your pets! Stop by the blogs participating in the Holiday Guide Blog Hop hosted by Beagles and Bargains and Kol’s Notes for more gift ideas! 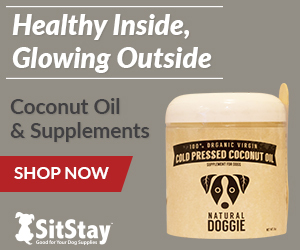 $200 Pet Blogger Holiday Giveaway!